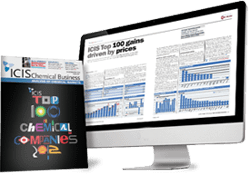 ICIS provides independent and unbiased pricing information, news and market analysis for the global Ammonia market. Our network of price reporters, based in Asia, Europe and the US, deliver local insight for each of these markets, which is published in our individual weekly and daily price reports. 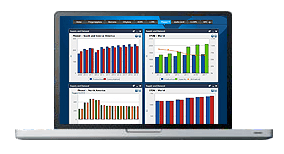 If you buy or sell Ammonia or related products, our reports, news and market intelligence will give you the prices and analysis of the factors driving the prices that you need to make confident commercial decisions. With no major ammonia plant turnarounds launched in early 2019, it was a quiet start to the year in the Asia Pacific market. The demand and supply balance was relatively snug with the big buyers in South Korea and Taiwan covered by contract cargoes from the Arabian Gulf, Trinidad, and Southeast Asia. Japanese trader Mitsubishi concluded several FOB spot sales to Trammo for PAU Indonesia material, and delivered discounted parcels to industrial users in Taiwan and China. The majority of spot business was concentrated on northeast Asia and India in February and March, with traders selling several cargoes to multiple buyers in both regions. Mitsubishi placed PAU parcels into China and the region of Taiwan, while Trammo and CIFC delivered cargoes to ports in east and west coast India. 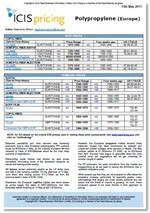 FACT India awarded its tenders to Trammo and Muntajat, with prices for those enquiries averaging around $310/tonne CFR Kochi (Cochin). Little movement was seen in the supply of ammonia as contract and spot cargoes flowed from Yuzhny, Trinidad and the Baltic to destinations in northwest Europe, north Africa, and India. Trammo secured several spot cargoes from its usual suppliers in Yuzhny and Turkey, but the supply and demand balance was normal. Only Sorfert Algeria’s extended turnaround threatened to squeeze supply, but in the event its impact did not have any major impact on prices. No major spot purchases were witnessed in early 2019 as buyers in Turkey and northwest Europe focused on contract deliveries from their usual suppliers in the Black Sea, Baltic and Trinidad. CF UK entered the spot market on a couple of occasions due to a plant shutdown, as did OCI with a pair of Caribbean cargoes, but other spot sales were few and far between. In the absence of spot business, attention in the US ammonia market focused on unscheduled plant shutdowns in Louisiana and Texas, and the softening of the benchmark Tampa contract price. Yara’s new joint venture plant at Freeport suffered an unplanned two-week outage in late February, as did Incitec Pivot’s plant at Waggaman, albeit for far longer. The Tampa contract price slipped from $285/tonne CFR for January and February loadings, to $275/tonne CFR for March cargoes. Bad weather in key crop growing states meant many farmers were unable to access fields and apply ammonia for the spring application season, with the bearish tone persisting throughout the quarter. By late March, the situation had not improved and market talk was ammonia could be replaced in some areas by other fertilizers such as urea and UAN.